Sample Pictures at the bottom of the page. The fabric - All price calculations are based on 100% cotton, 45 in. wide, modern day with the old look. 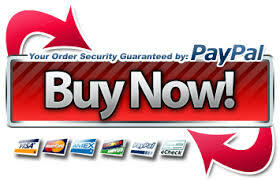 Modern buttons used but can be replaced with reproductions at an additional cost of $5.00 by request. 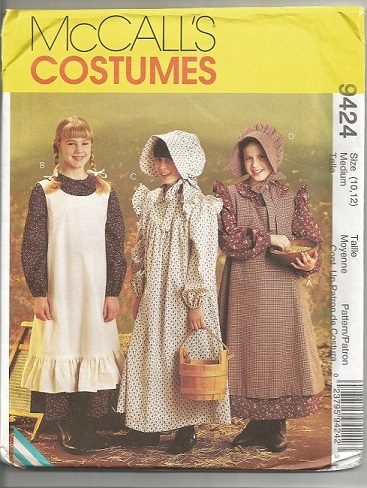 Girl's up to a size 16 Dress Pattern McCall's 9424, as pattern at the right and using your measurements. 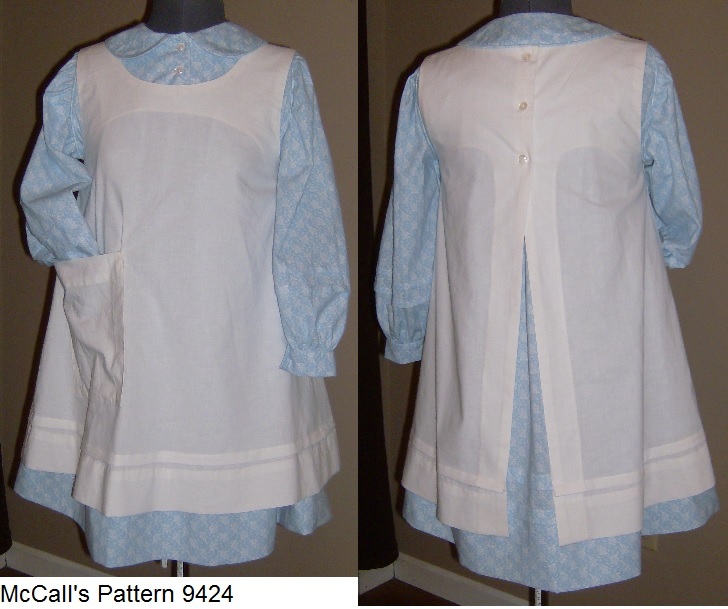 Pricing for, dress, pinafore and bonnet. Starting prices - As Lavender at the right. Modern sewing techniques, elastic in sleeve cuff. Modern plastic buttons. 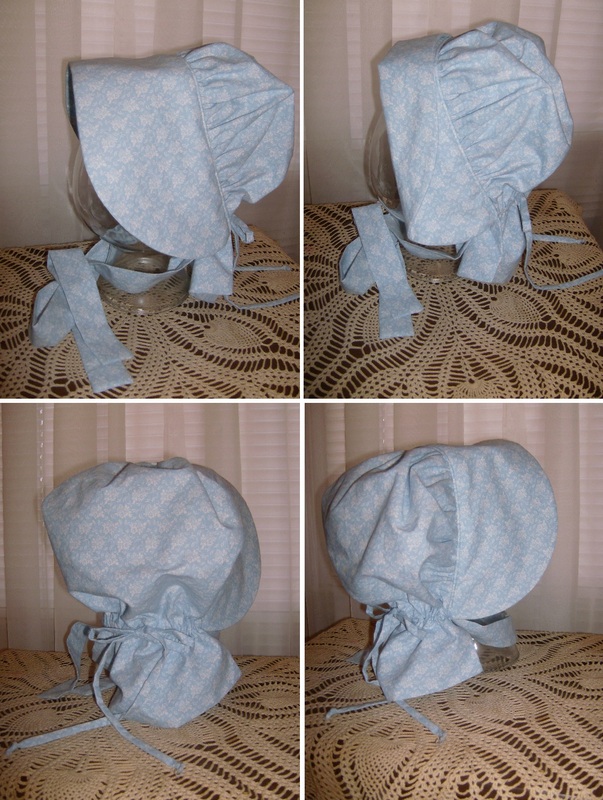 Bonnet all Sizes – $15.00 when ordering a dress. Reproduction Fabrics Prices depend on yardage cost at time of order. Dress Sample Fabric Is No Longer Available! Dress and bonnet do not have elastics in them, it was not until 1900 that the type of elastic we know today came into full use. 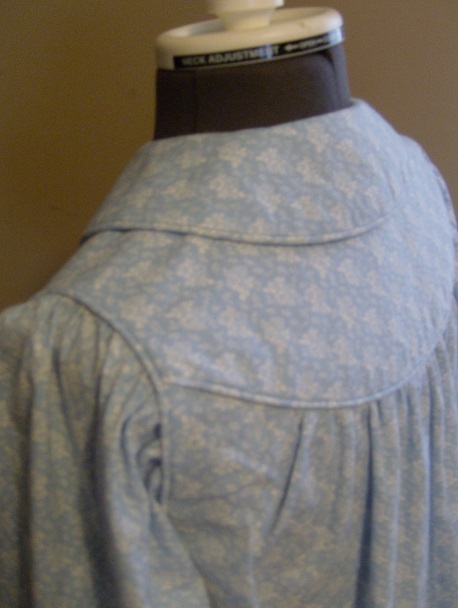 Back Facing and Hem are Hand Stitched/Sewed. Bonnet comes in Small to Large, drawsting in back. 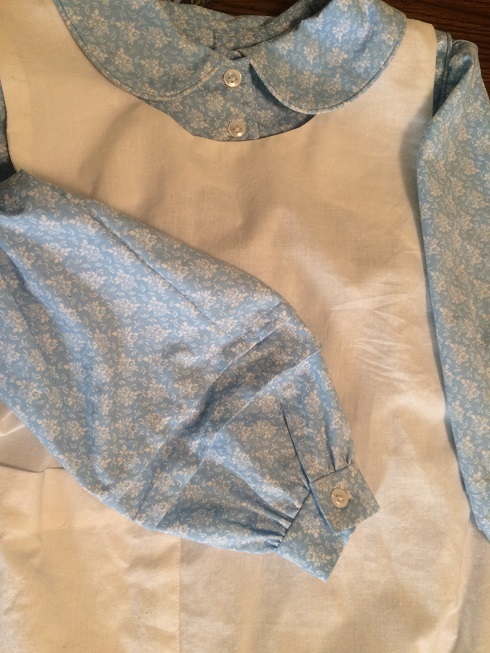 Dress sleeves come with a buttoned cuff instead of elastic. 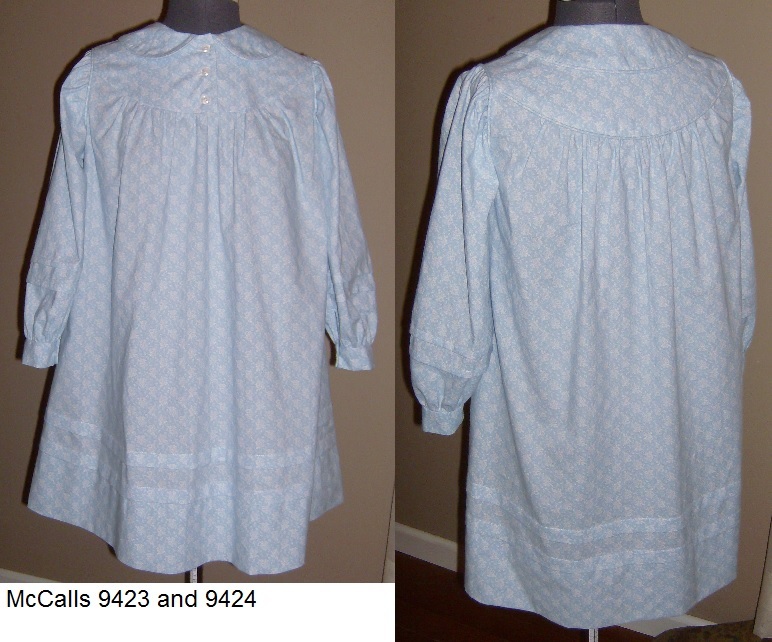 Dress can come with self piping around collar, yoke back and arm hole, depending on your choices. Or A local fabric supplier near you.